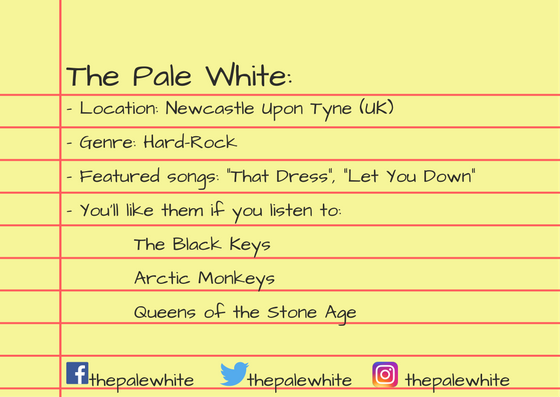 The Pale White are one of the most promising bands from Newcastle Upon Tyne. 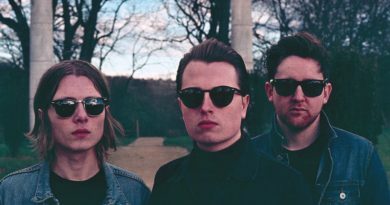 This trio formed by the brothers Adam (vocals and guitar) and Jack (drums) with Tom (bass) are rising really fast. 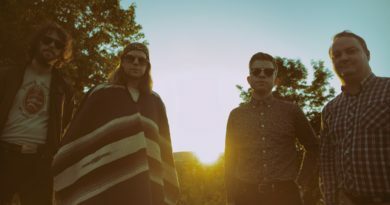 Since they published their first single “Let You Down” on Soundlcoud they already signed with a label, sold-out several shows in the city and played as a supporting act for bands like Band of Skulls. They play a rock that really remembers of Queens of The Stone Age, the first Black Keys and Arctic Monkeys (with a surprisingly similar voice for this author). 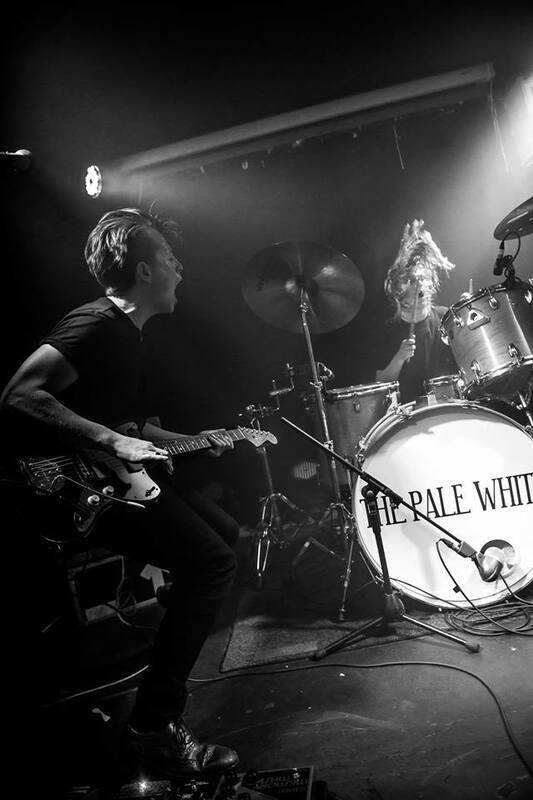 The Pale White transmit energy in studio but mostly with a live set that astonishes since the first minute. 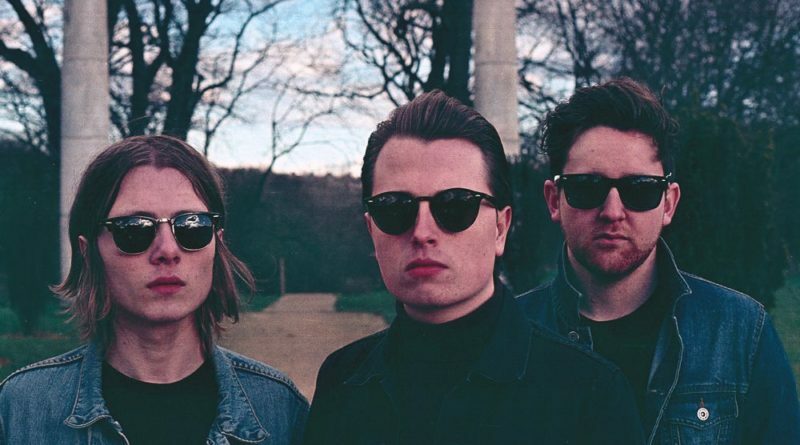 With a British music scene that tends lean to more to pop music we should be thankful for the presence of these bands. They don’t want to rush into it, that’s why they’re no planning to release an album until 2018. 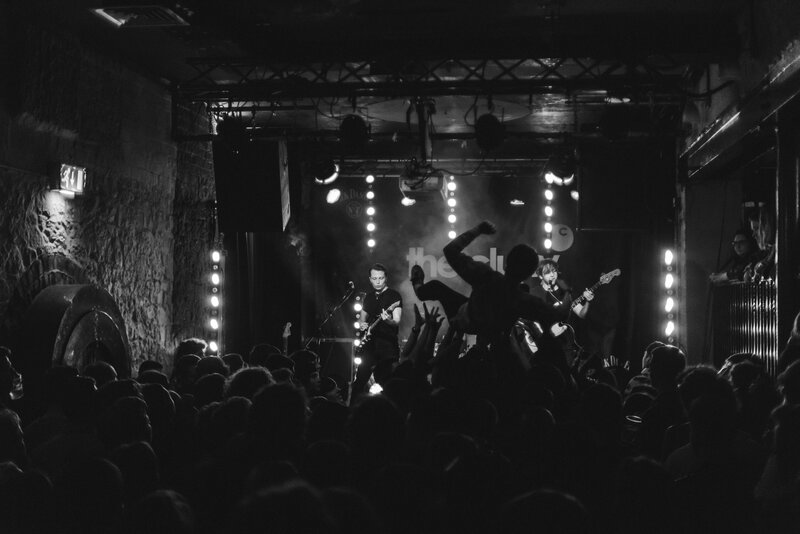 We got the chance to talk to them minutes before their last sold-out show of 2016 in Newcastle. It was only 6 months ago since you released your first single and you’re already doing sold-out shows in Newcastle and played in other cities. Also, your songs have around 300 thousand listens on Spotify. Did you really expected that? Tom: No, really no. It’s definitely gone bigger and faster than we ever thought it was going to be. People from the area have been really behind us, really nice. Locals have been really behind us, so that’s been really nice. People seem to be really into it which is like always really nice when you spend so much time doing it. It’s slowly kind of growing. Next year we’re going to focus on getting out of the region and spreading around so we’ll do a lot of gigs outside the area. How do you work as a band during your writing/composing process? T: Predominantly Adam will have an idea/will bring an idea in. It could be just a guitar line, a chours or a verse. Then the three of us go through it together in the room and build it from there. Sometimes he brings a song fully done and some other times he brings just a riff and we all lock in with him and create a song. Jack: It can also start, just in rehearsal, I play a bass line and we just jam it. That’s how we roll. T: It can be quite spontaneous. We just sort of mess around and see what happens really. Adam is like the core writer but we all write together. I think that’s what makes the sound. We all bring to it. At the current time, your published three singles are quite energic and uptempo. Maybe kind of mix between Arctic Monkeys, The Black Keys and QOTSA to have a reference. Have you been always into this type of music? Are there other genres you draw from and plan to use in your music? T: To begin with we wanted people to get a good idea of what we’re like live. A lot of the things that we’ve been releasing are kind of hard, fast-paced and energetic songs but we’ve got a lot of slow ballad-type songs. It’s just something we’re going to hold back until we do an album. Because I think when particularly you play for a different audience you’ve got to hold everyone’s attention and if no one’s heard you yet and you pull out a 5min slow song it can lose someone’s attention. We’ve got like 5 or 6 slow songs which we’d love to play at some point but maybe next time we do a headline show we do something like that. Probably they told you this a million times but the first time I saw you live your voice remembered me to Alex Turner. Do you agree? J: In a way yeah. I think he has the same sort of vibe. T: The Arctic Monkeys have been definitely an influence across the globe. 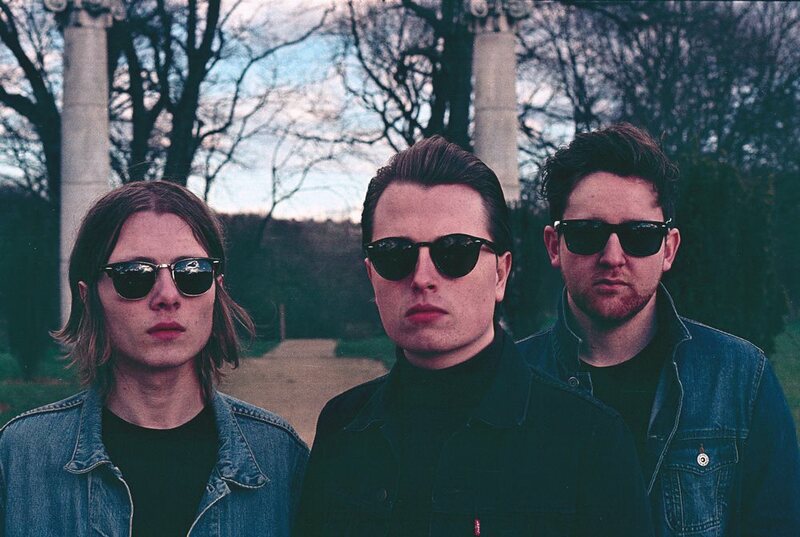 They’re probably the most important band in the UK of the last 5-6 years. Everything they get out is better than the next thing. I don’t think we try to sound like them but I think that any band that’s around now, that deals with the same sort of thing is influenced by them. Because they’re so influential aren’t they? 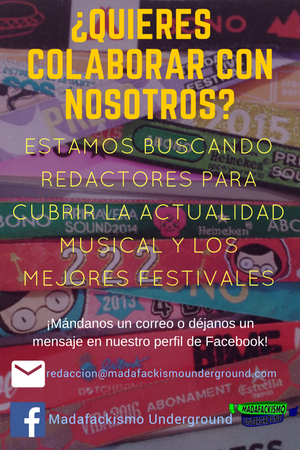 What’s your main goal as a band in a short time? And in a long time? T: We want to take it as big as we can all over the world if we can. But in the short term we’re releasing our first proper single through on January 20th. We’re going to release that and then we’re going to hopefully be touring. 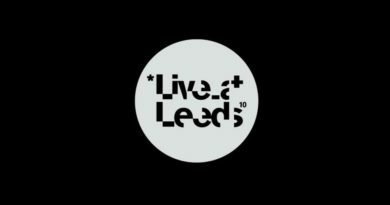 For the next year we just want to release singles and eventually play in Reading & Leeds, Glastonbury… that’s the goal. And then for 2018 an album, that would be nice, been up to that. Is there a band that you would love to join on stage? J: Probably Queens of the Stone Age or the Pixies. T: Yeah, the Pixies definitely. They’re live show kind of influenced us a lot as well by the way they use the lights on stage. Is there any particular person that contributed to your success? T: We work really closely with our producer called John Martindale. He runs Blank Studios. We worked for him for the last year. He introduced us to the guy that’s doing our sound tonight and the lighting guy. He’s been supporting us from day one. J: He’s basically our fourth member. T: It contributes a lot to the way we sound on recording. T: I like Mac DeMarco. He’d be really fun. T: I was at Leeds Festival, I went into the tent and they were oh there’s a secret band playing and it was Them Crooked Vultures. That was special that night. J: Foo Fighters or Coldplay. T: We listen to The La’s a lot in the car. T: If The Black Keys and Nirvana had a baby. And it’s a really loud baby. J: Or that kid from Matilda. T: Bruce Bogtrotter, that character that eats the chocolate cake. We sound like him: big and fat.